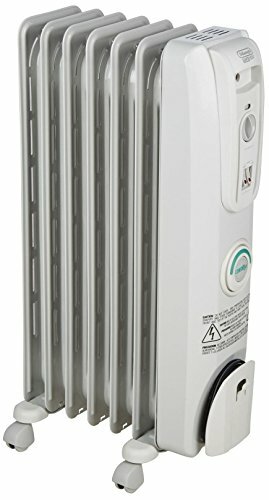 Oil filled radiator heater, with comforttemp button, saves up to 27% on energy bills by automatically maintaining the optimal temperature in the room, specially engineered thermal slots maximize heat flow yet maintain a low surface temperature, 7 permanently sealed oil filled fin heating elements provide larger heating capacity, 3 heat settings let you adjust output levels, optimizing energy efficient operation, 700W at the low heat setting, 800W at medium & 1500W at the highest heat setting. DeLonghi Safe Heat 1500W ComforTemp Portable Oil-Filled Radiator Unboxing. 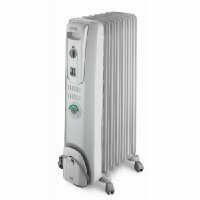 Compare prices on Delonghi Ew7707cm Safeheat 1500w at ShoppinGent.com – use promo codes and coupons for best offers and deals. Start smart buying with ShoppinGent.com right now and choose your golden price on every purchase.